Speedo Sport Splice Swimsuit As Low As $16.30! You are here: Home / Great Deals / Amazon Deals / Speedo Sport Splice Swimsuit As Low As $16.30! 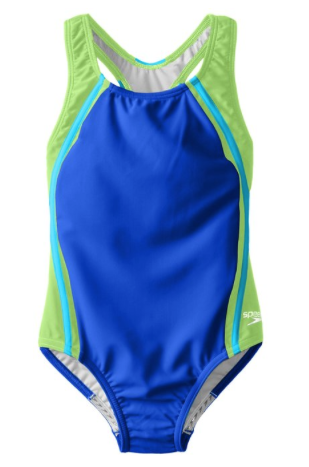 Make sure your girls slip through the water to win the race with this 1 piece suit! The Speedo Sport Splice Swimsuit comes As Low As $16.30! Available in 4 colors and multiple sizes with built-in shelf bra for growing girls!